Here’s a look at what’s coming out from Marvel for November 2017. A full list of solicitations is available here. 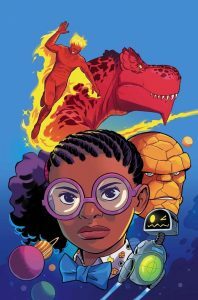 “Moon Girl and Devil Dinosaur” #25. Art by Natacha Bustos. 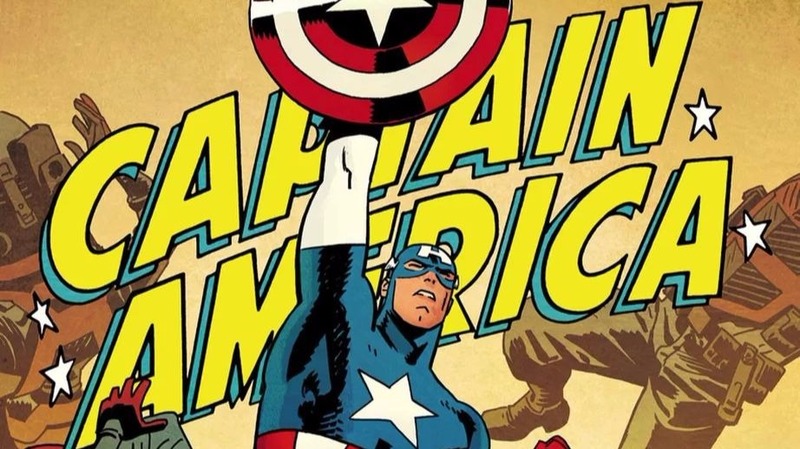 Mark Waid’s taken over the writing duties for “Captain America.” Unless I’m wrong, it sounds like he plans on ignoring as much as possible “Secret Empire” and Hydra-Cap. Miles is fighting a new version of the Sinister Six in a new “Spider-Man” storyline. “Squirrel Girl” this month is a one-shot story, where various comic book/strip creators write their own takes on Doreen and company. Trade paperbacks this month include a hardcover for Squirrel Girl, which reprints her own trip to the aforementioned Negative Zone. (It also reprints her trip to Canada.) Marvel’s books have gone back (for now) to legacy numbering; I wonder if that might be confusing to those who aren’t as devoted to going to comic shops every Wednesday. Fortunately, trade paperbacks and Marvel Unlimited exist as alternatives.